Penbox: Omas pens from Italy. Handcrafted Omas pens have been a symbol of distinction since 1925. 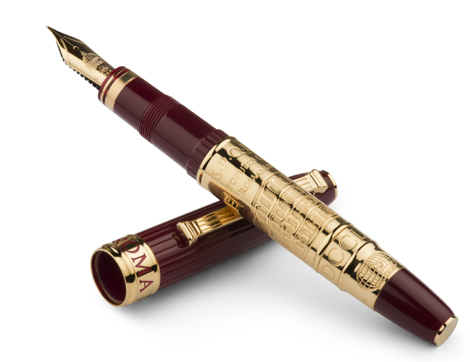 Established in Bologna, Italy, Omas Pens have been making prestige pens since 1925 with a focus on creating fountain pens with flexible nibs. See below to view Omas pens available from Penbox. We also retail all Omas limited edition pens and Omas refills. Following Omas going into administration we only have a few pens remaining in stock, which we have listed below. Omas Milord, black, ST, 18k medium nib. The full range of Omas fountain and ballpoint pens are supplied gift boxed.